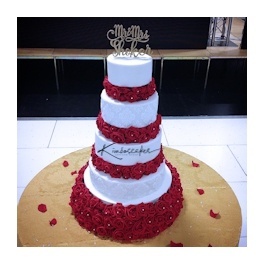 Rose bed wedding cake. 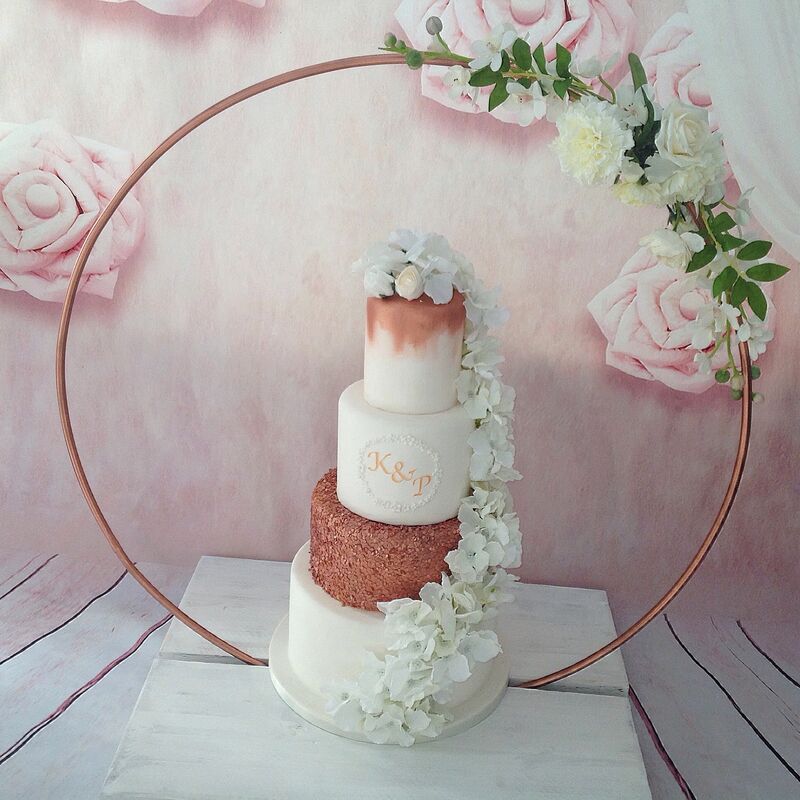 This Wedding Cake With Rose Bed is available in a range of sizes flavours and colours. 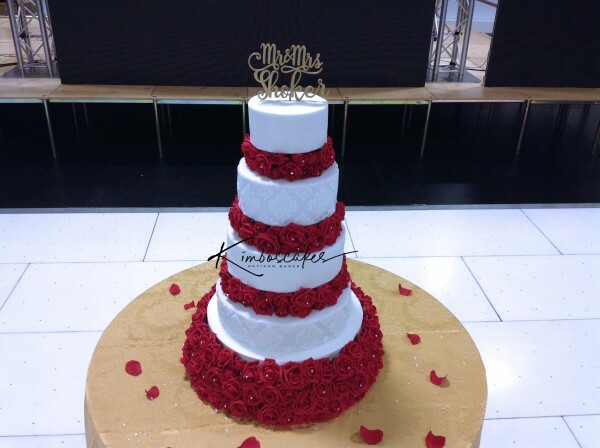 Rose bed wedding cake. 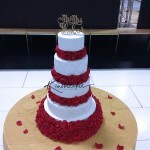 A beautiful red rose wedding cake with white icing. 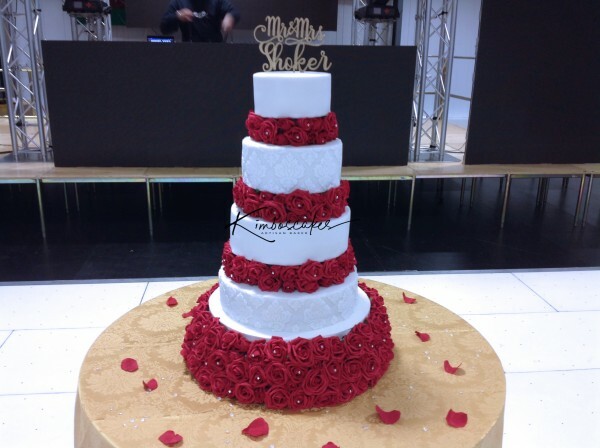 The wedding cake consists of 4 cake tiers and three separating tiers. 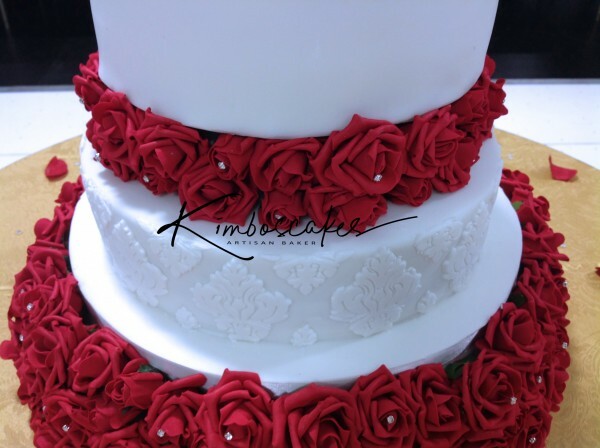 Each of the separators are adorned with 2 layers of red roses. We also added some diamante pins into the flowers for that extra sparkle. 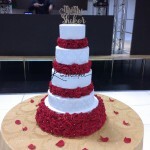 Available in a wide range of colourful flowers, which means, you are not tied to the red rose wedding cake. Choose a different style of flower and colour to suit your wedding theme. Egg free cakes that are provided by us are also suitable for halal. With no traces of animal fats or alcohol. Other dietary requirements can also be catered for and are available on request. 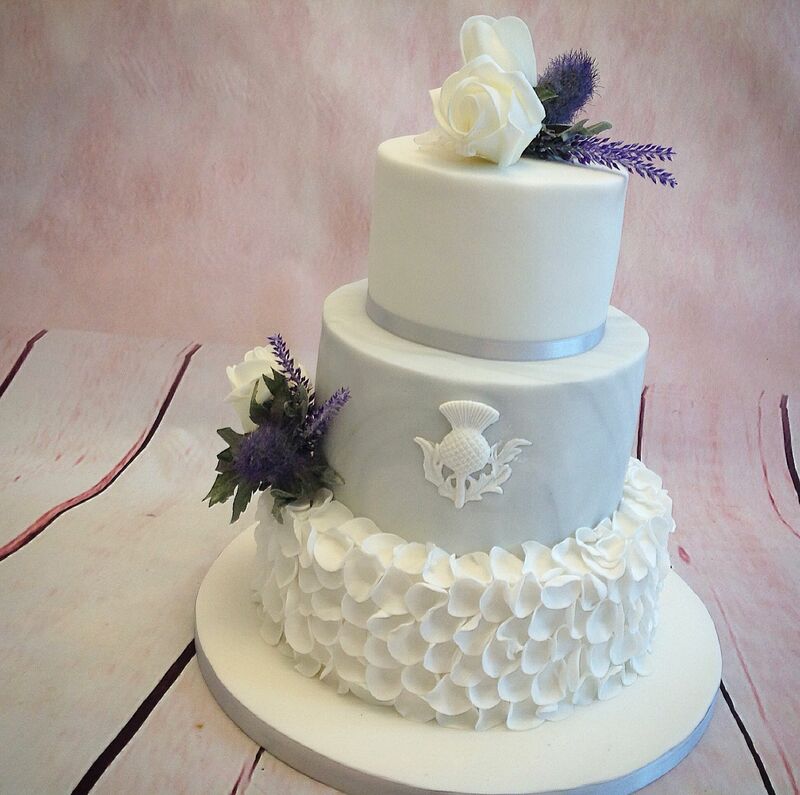 Each tier of this regal wedding cake, with the exception of the 6 inch tier, are enrobed with a white fondant. 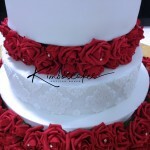 The rose bed wedding cake sits on our custom disposable base. This has also been decorated with up to three rows of flowers, which also include more diamante pins. 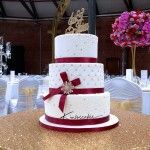 The second and top tier have been left plain, whilst the base and third tier have been carefully decorated and embossed with floral decoration..
A different flavour was chosen for each tier of this wedding cake with rose bed. The happy couple made their choice of flavours from our wide range that we have available.